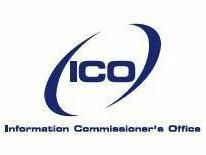 A report by the Information Commissioner’s Office (ICO) has discovered that UK residents are taking ever greater care of their personal data in the wake of well-publicised data loses by governmental departments. The ICO survey (PDF link) found that eight out of ten people now take greater care of their personal data, with 88 per cent claiming to check their bank statements more regularly and 85 per cent saying they refused to give out personal information wherever possible. Just over half the respondents claimed to no longer have confidence in the way banks, local authorities and Government departments handle their information. However, some seventy per cent admitted to feeling “powerless” about how their personal information is looked after. David Smith, deputy commissioner at the ICO, said that people concerned about their data shouldn’t hesitate to use the Data Protection Act to check on how organisations were storing it, “If we all regularly start to ask the right questions then the organisations will respond to public demand,” he said. As a counterweight to the survey’s findings the ICO has released a user-friendly guide to data protection (PDF link) that includes a checklist customers can reference when approaching organisations holding their personal data.